C2CDG | Gaming and Leisure Properties Inc. Currently under construction, the Penn National Gaming REIT Building is a design-build collaboration of our design group with our affiliated company, Integrated Construction Service (ICS). 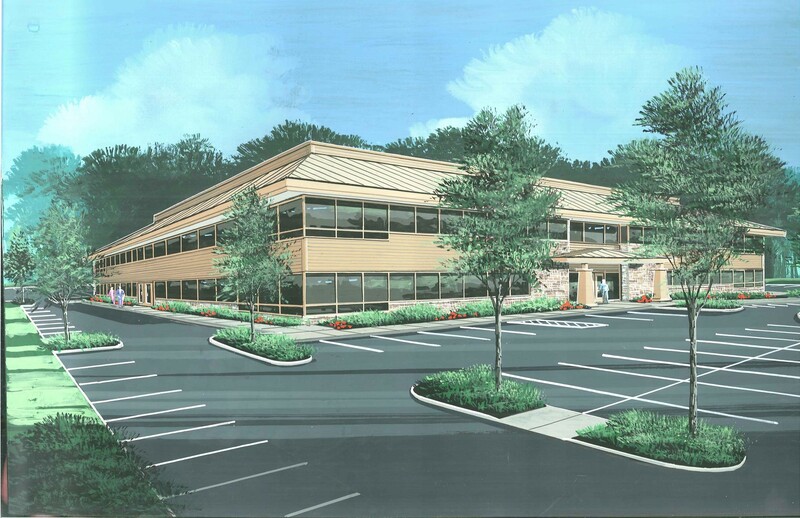 Situated in the Wyomissing Professional Center and adjacent to the existing headquarters of Penn National Gaming, the RIET Building is one of two proposed buildings included in the associated land development plans for the project. By and large an “in-fill” project for the existing Professional Center, our services included survey base plan preparation, site layout, grading, utility, stormwater management and erosion and sediment control plan design. In-fill projects within existing complexes such as this create challenges with respect to meeting current stormwater management regulations which often require additional stormwater management facilities that typically conflict with the need for land to accommodate planned improvements. Our site design group was able to overcome these challenges by working closely with the Municipal Engineer and County Conservation District staff to develop a series of on-site best management practices including pervious pavement within parking stalls and retrofitting the existing stormwater management basin to improve quality of runoff leaving the site. Our group continues to assist ICS during the construction phase of the project by providing construction stakeout and inspection services.